Cover letters are an important part of your job application, but can often be difficult to write. While you want to showcase your accomplishments and stand out, you need to do this without coming across as arrogant or effusive. If you want to create a killer resume that will land you an interview, avoid these common and costly cover letter mistakes from Omar Yunes. In your cover letter you need to sell yourself to the employer and show why you’d be a great fit for the position. While you want to appear confident, you don’t want to come off as arrogant. Don’t just boast about how talented or intelligent you are. Instead, share specific achievements and provide evidence of those accomplishments. While you don’t want to be arrogant, you don’t want to be too humble either. Be confident in describing your accomplishments, and don’t discuss skills or experience you may be lacking. 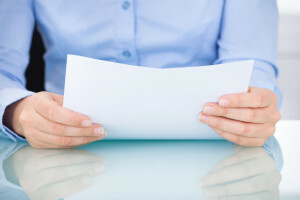 Your cover letter should not be a rewrite of your resume. Simply reworking your resume in a longer format is only a waste of time for both you and the recruiter. Instead, your resume should highlight one or two specific accomplishments that show what you bring to the position. Show the employer that you have a lot to offer the organization by sharing fact-based accomplishments and relating them to the job. Like your resume, Omar Yunes says your cover letter needs to be straightforward and brief. A cover letter that goes on for more than a page shows that you don’t respect the recruiter’s time and are unable to be concise. Your cover letter doesn’t need to highlight every piece of your career— it just needs to convince the recruiter to bring you in for an interview. Spelling errors and typos are a huge turn off for hiring managers. Don’t rely on spell check to detect all spelling and grammatical errors. Be sure to proofread every cover letter you send, and have a friend that’s good at writing read over it as well. Your friend will be able to identify spelling, grammar, and clarity errors that you may have missed. You should not be using the same exact cover letter for every job application. Even if you’re only applying for insurance underwriting positions, each position and company is going to be different. While you can use the same basic format, your cover letter should be tailored to each of the jobs you’re applying to. With that said, do not begin your cover letter with “To Whom it May Concern”. Address the letter to the specific hiring manager. If you’re unsure who the hiring manager is and can’t contact the company, “Dear Hiring Manager” is a better alternative. Make sure you are changing the job title and company name in each letter as well. Nothing will ruin your chances more than a cover letter addressed to the wrong company. When creating your cover letter, be sure to avoid these common mistakes from Omar Yunes.